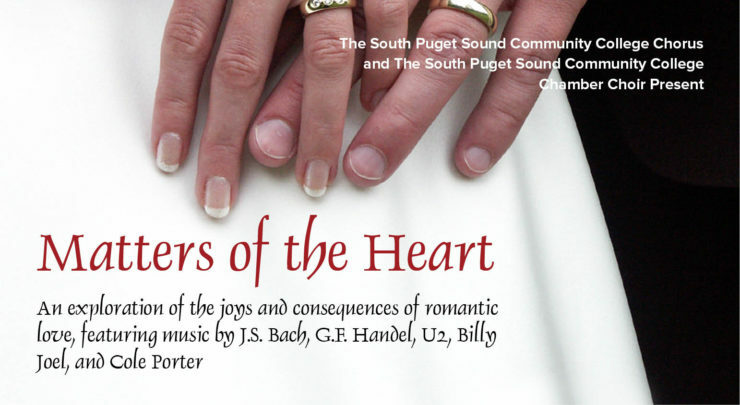 The South Puget Sound Community College Chorus and Chamber Choir present Matters of the Heart, an exploration of the joys and consequences of romantic love, featuring music by J.S. Bach, G.F. Handel, U2, Billy Joel and Cole Porter. Senior, Military, and Student discounts available.